What kind of houses are in Wellington Park Overland Park Kansas? Homes in Wellington Park consist mostly 4+ bedrooms, with an occasional 5th bedroom, 3 to 5 or bathrooms, and the majority of the homes have 2 or more car garages. Wellington Park provides a wide variety of floorplans such as the traditional two story, ranch, reverse 1.5 story, 1.5 story or master down layouts. The homesites (lots) in Wellington Park average roughly 1/3 acre in size with some larger and some smaller. Wellington Park features a pool. 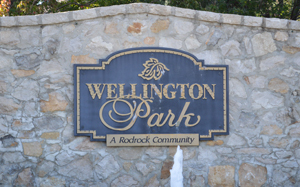 Wellington Park is just minutes from Town Center Plaza, One Nineteen shopping, and Hawthorne Plaza. Wellington Park is filled with quiet cul-de-sacs and landscaped boulevards.